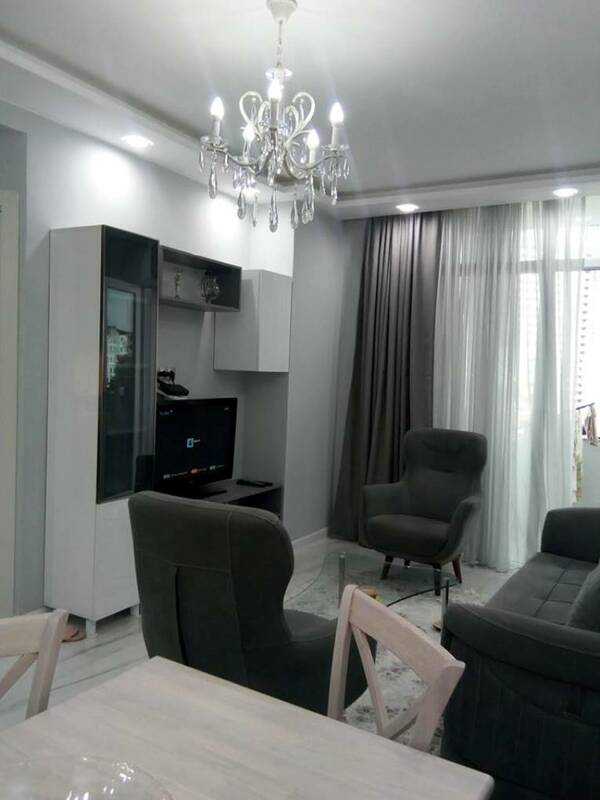 Apartment is for rent at this price only in the low season from 1 October to 15 May. 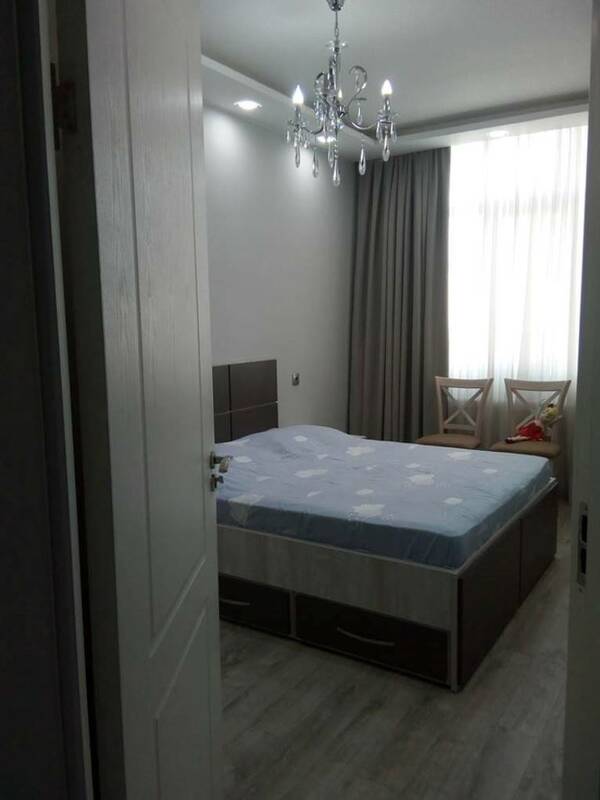 During the summer period from 15 May to 30 September the apartment is for daily rent through the resource reservation Batumistay.com. 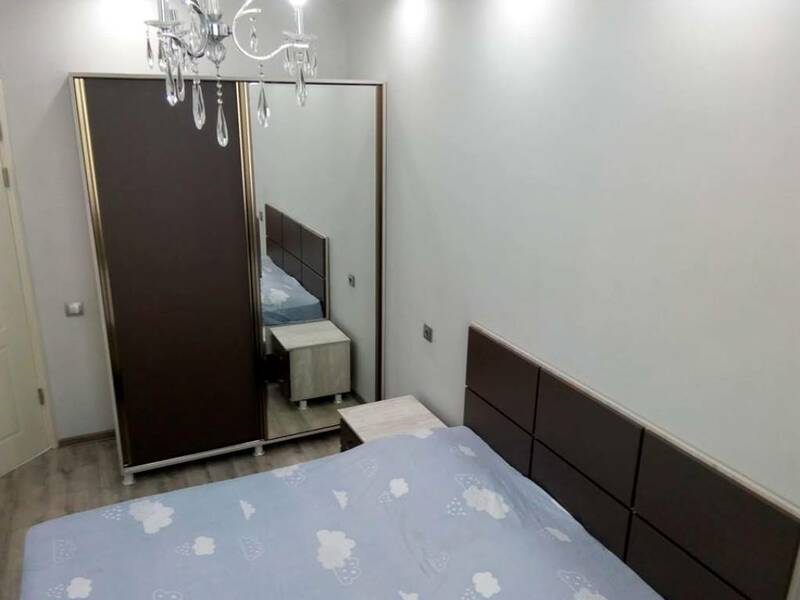 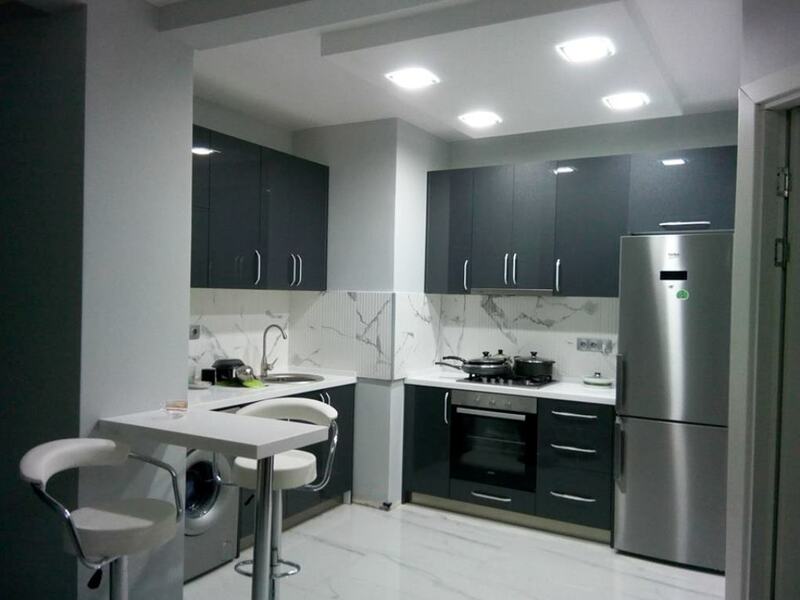 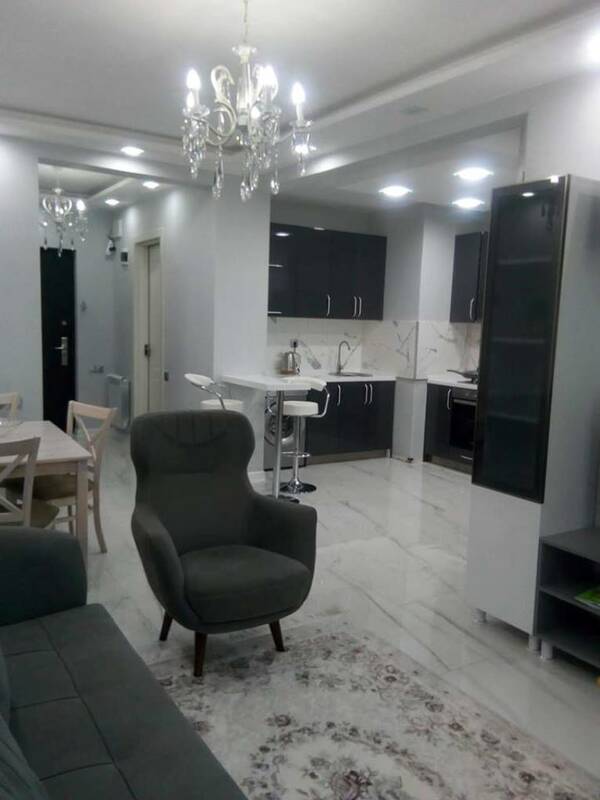 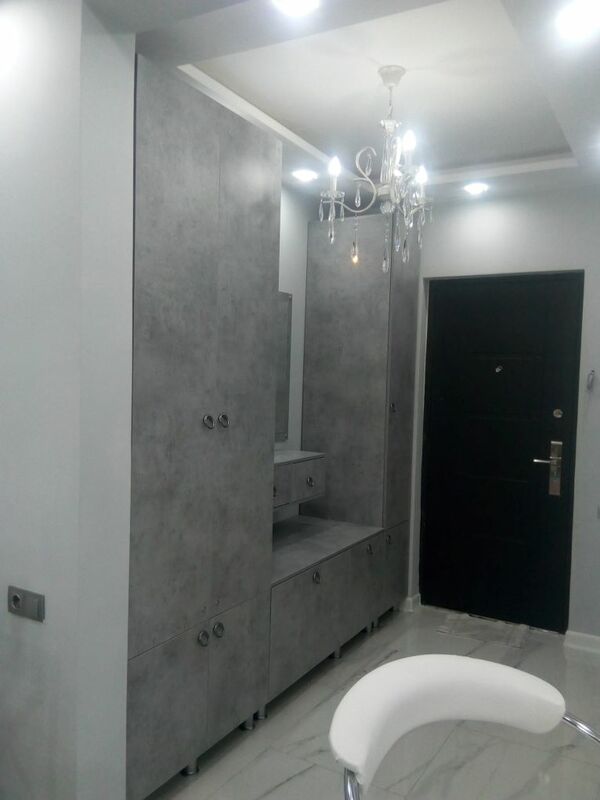 2-roomed comfortable flat is situated in Batumi, on the Pirosmani str. 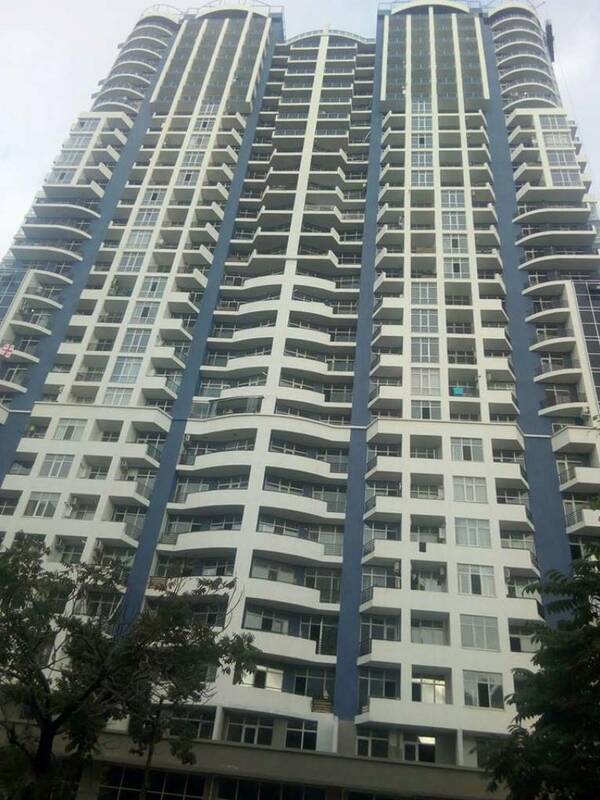 The flat is on the 7 floor in the 29-storeyed new residential complex. 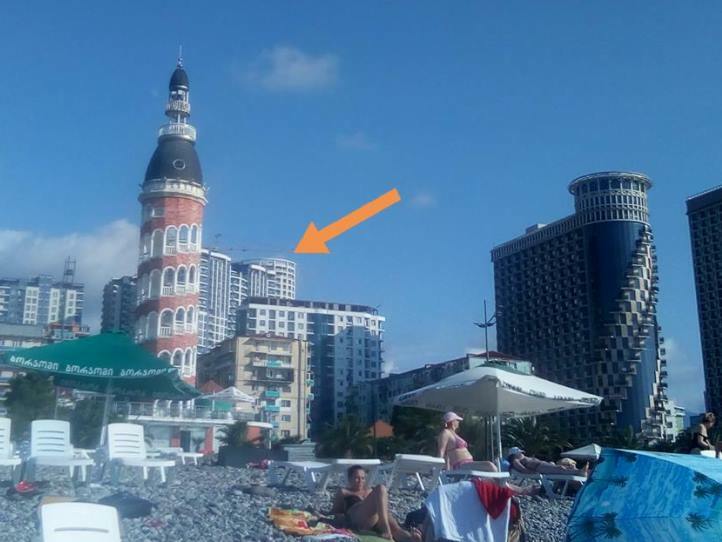 Near the house there are two supermarkets, Yalchin Market and WILLMART, bus stop and taxi rank, within walking distance – the sea and the beach, water Park and seaside Boulevard with singing fountains, cafes and restaurants.